This smaller sign is 12″ by 16″. 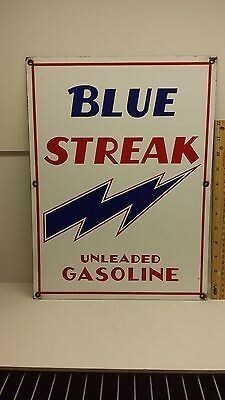 The sign is an advertisement porcelain sign for Blue Streak Unleaded Gasoline. The background of the sign is white and it has a red boarder. Running through the center of the sign is a blue lightening bolt.